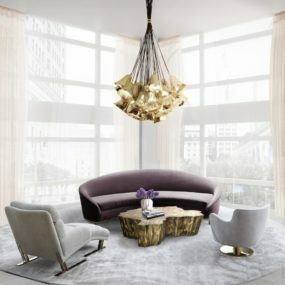 Contemporary sofas aren’t mere furnishings, they come in an array of unique designs, concepts, and styles that make them much more than that. In a chic home a sofa is still a main focus and the center around which the rest of decor is set. Since contemporary sofas are so different, you’ll find many pieces combining traditions and style elements from other eras. And if you think that contemporary designs are all the same, here are 30 designs that will blow you away. 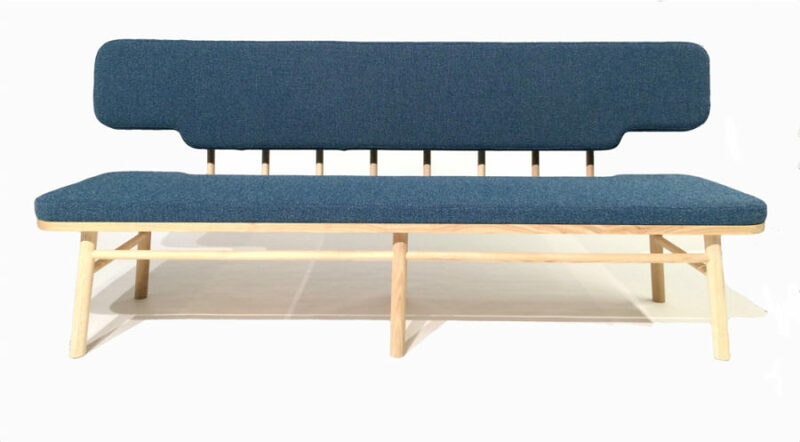 Onkel is a contemporary take on a tufted couch with partially built-in cushions and a uniform shape. It is every inch a familiar sofa we’re used to expect, but with a cleaner, sleeker look. 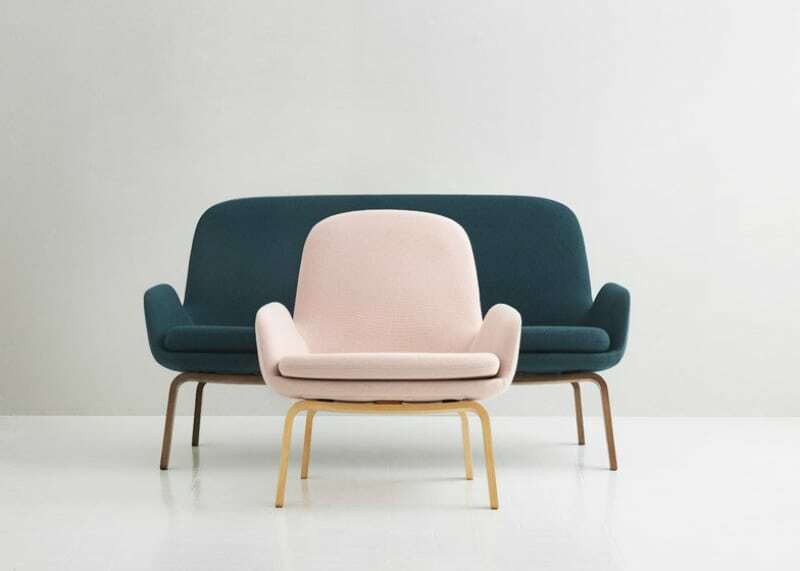 Designed by Simon Legald for Normann Copenhagen it’s a great fit for a modern chic home. Savannah sofa by Monica Förster has a more contemporary clean aesthetic with its bench-like structure and streamlined rounded cushions. Its much more minimal, refined look would go well with a contemporary or Scandinavian interior. Apart from the previous two shapes, contemporary sofas come in a variety of other forms like this futuristic IS Sofa by Inoda+Sveje. Curved and streamlined its unusual look can either decorate a minimal contemporary interior or become a crowning accent of a futuristic decor. 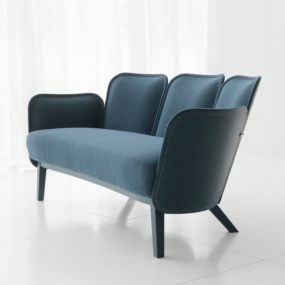 Looking like a space aircraft seat Corques sofa is a perfect contemporary piece for a small but stylish home. 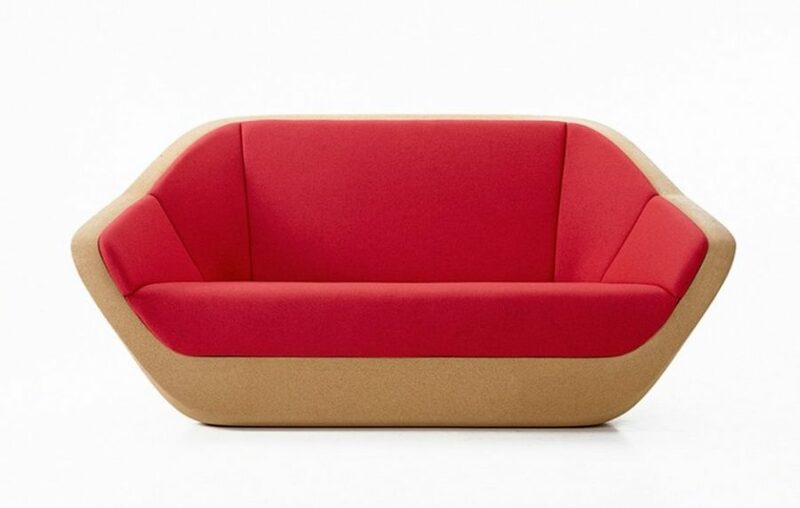 Created by Lucie Koldova the sofa is made of sustainable cork leftovers and a contrasting upholstery fabric from Kvadrat. 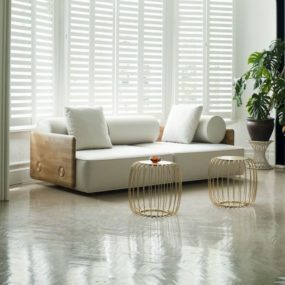 The stylish sofa is a perfect furnishing for the home that strives not only to be well-decorated but also eco-friendly. 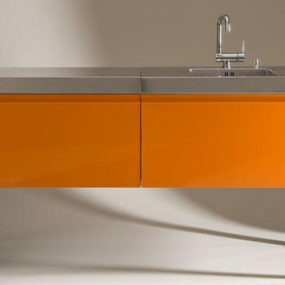 Looking to inject a bit of retro into your contemporary futuristic design? 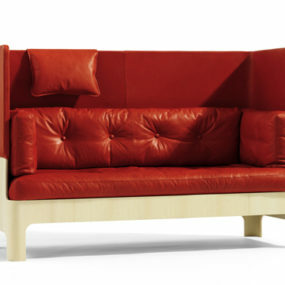 Here is a Titan sofa by Carlos Gastelum that will help you do just that. 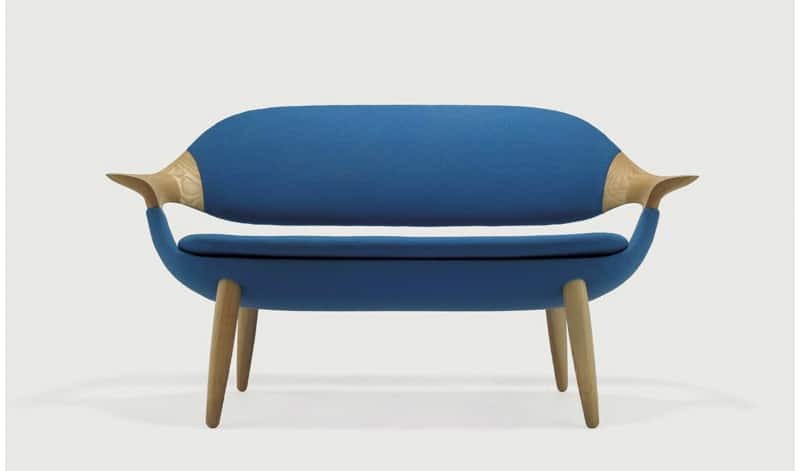 Its uniform shape comes with elevated armrests that look like ship parts rather than, well, armrests. Its bright upholstery lends a nostalgic retro look to the futuristic form. 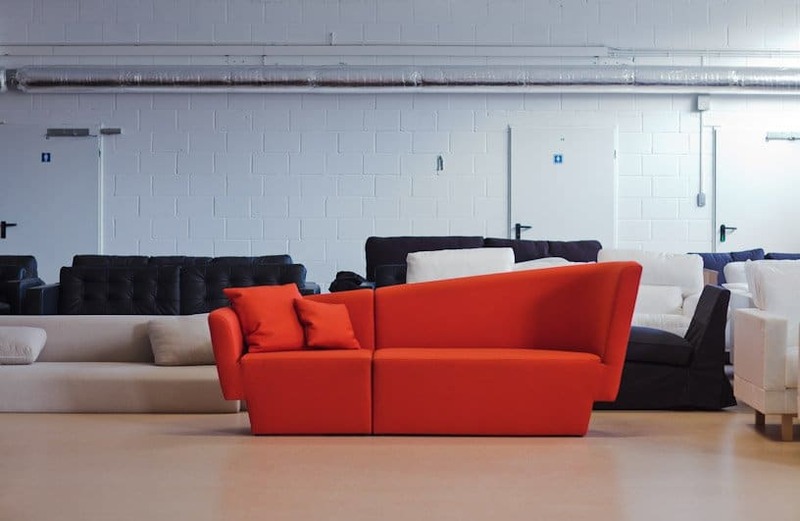 Many contemporary sofas come in uniform shapes, by the way. This Endless sofa from Incorporated is a great combination of uniformity and detail. Each small section of the sofa zips together to create the endless continuation of form that invites and welcomes in spite of the cool leather texture. There is no escape from modernist design or at least its elements even today. After all, everything came from the modernist era of simple shapes and minimal details. Emerson from the furniture maker Jory Brigham is a perfect marriage between subtler contemporary style and modernist aesthetic with its wooden frames and overall minimalist style. Bench-like sofas can look chic too. 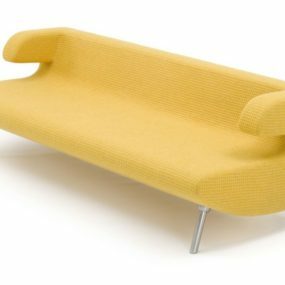 Traditional in Swedish homes, a kitchen bench sofa got contemporary treatment by a designer Jacob Granat who turned it into an attractive but functional thing. 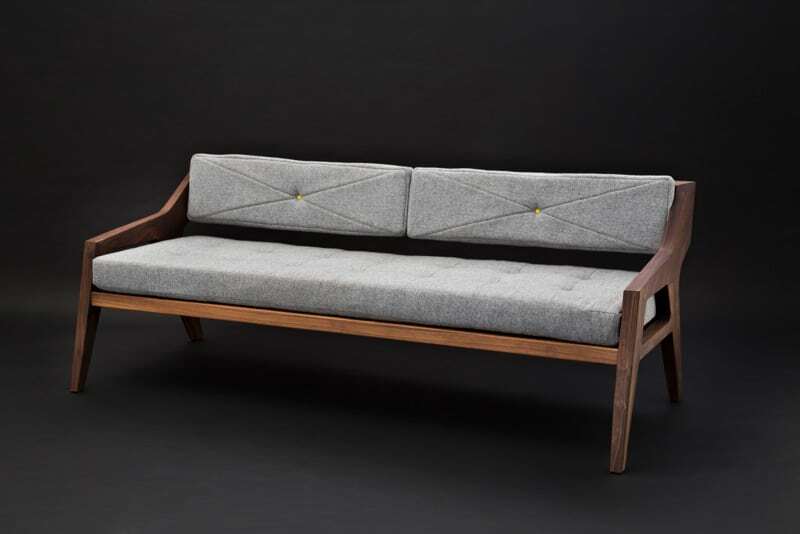 Built from ash and upholstered with Bogesunds Effect-fabric the sofa unfolds to become a backless bench table seat. 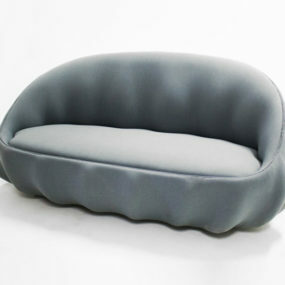 Oscar Sofa is a peculiar blend of traditional and contemporary design. 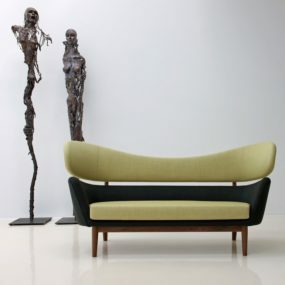 Made of walnut-stained beech wood covered with Kvadrat molly wool the sofa features decorative legs and curved armrests. Its streamlined cushions give it a largely contemporary modern look, but the combination of different aesthetics makes for an exceptional result. 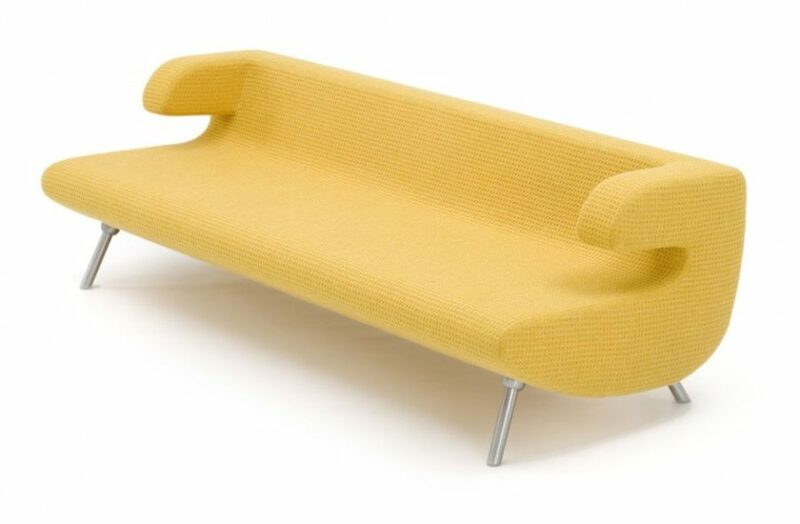 The real modernist sofa Baker was designed in the early 1950’s by Finn Juhl. 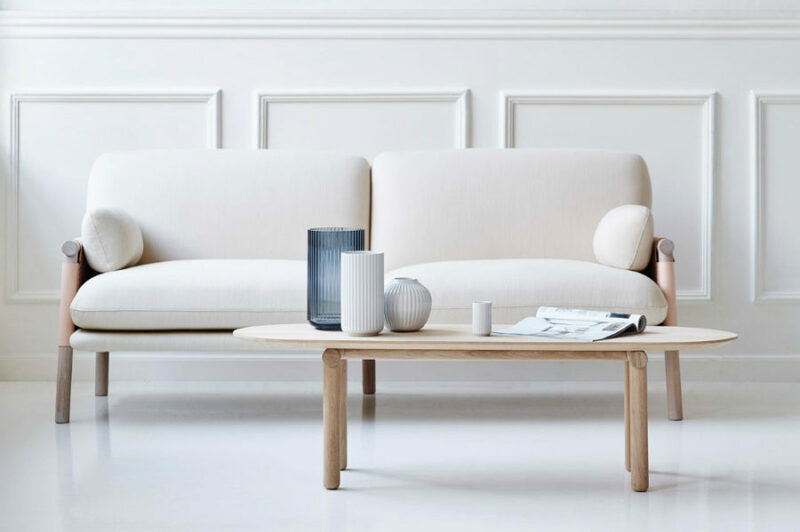 Reintroduced in 2008 by the Danish manufacturer OneCollection Baker looks surprisingly contemporary. Made of two parts Baker’s backrest brings a bit of drama to the place. And contrasting upholstery helps accentuate its intriguing shape. 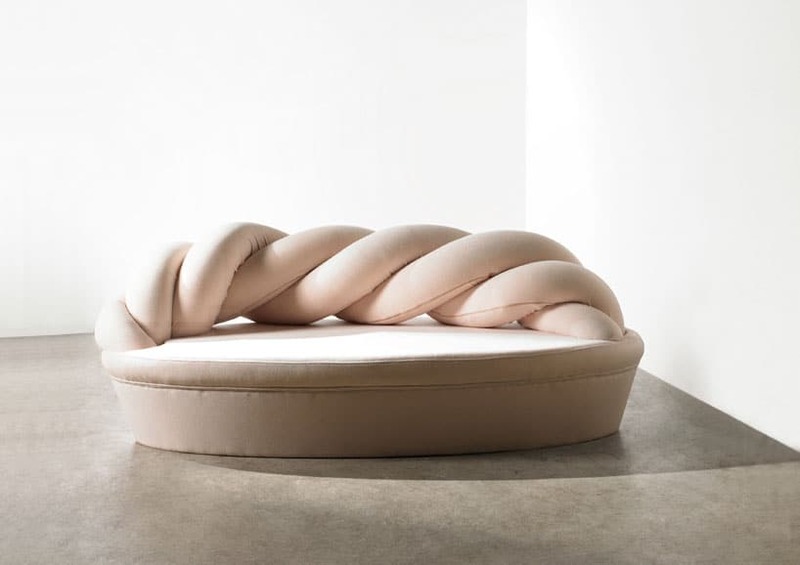 Markus Johansson called his sculptural sofa Coquille, which translates as ‘shell’ from French. Fitting and actually pretty descriptive, the name paints a rather interesting picture, but the thing itself does not disappoint. Flowing with curves and ripples, Coquille looks beautiful from every side and angle; its wooden frame a testimony to human craftsmanship. Carved carbon fiber and Volvic lava ONYX isn’t your average couch or even a designer furniture piece. 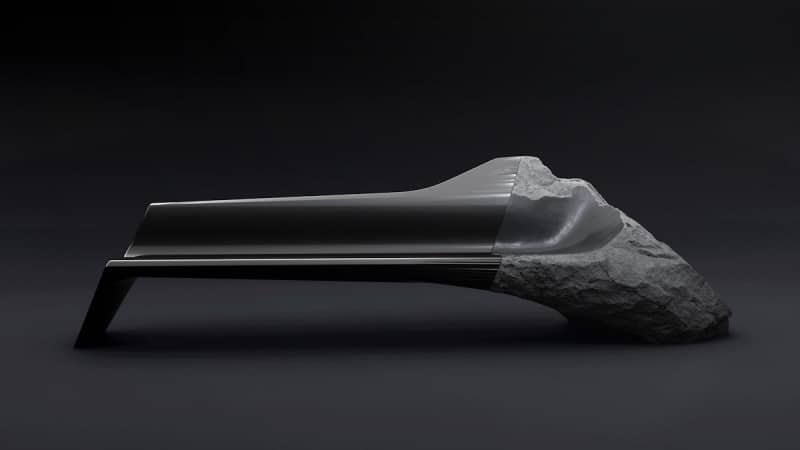 Created by designer Pierre Gimbergues for Peugeot Design Lab it is a made-to-measure luxury sculpture. Volvic stone that makes a smaller part of the piece is only partially polished to preserve its natural state and the raw look against sleek, smooth carbon. 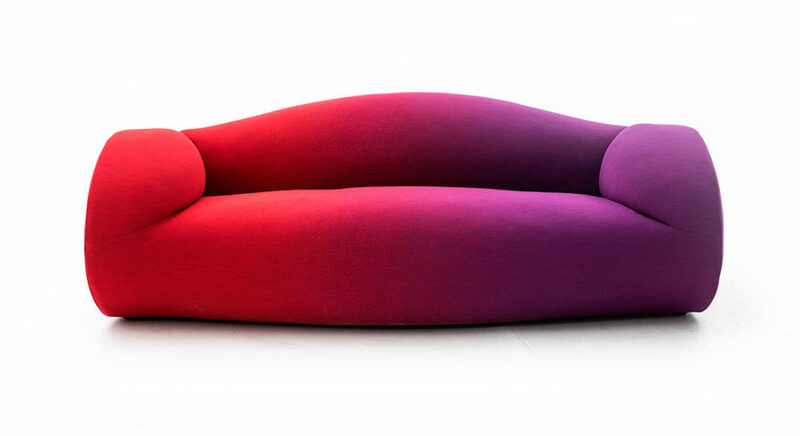 Beautifully delicious the Marshmallow sofa by kamkam design studio is like your own personal candy cloud. Though its distinguishing backrest is shaped after a yarn skein. 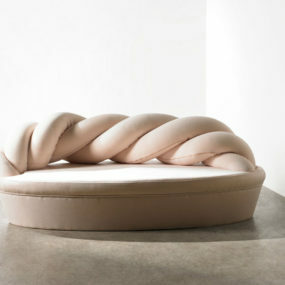 Made with soft wool the pale pink sofa looks almost edible with its twisted back resembling a marshmallow twist. 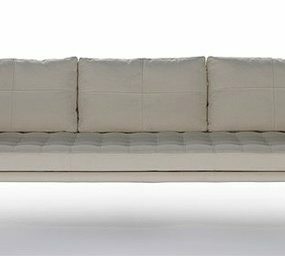 Noé Duchaufour Lawrance designed the Borghese sofa for La Chance inspired by the pine trees in Villa Borghese in Rome. Using metal and wood, Lawrance created a tree-shaped structure for the sofa he finished with high density foam and Kvadrat upholstery fabrics. Era is a part a collection by the same name from Simon Legald. Addressing the demand for smaller furnishings, the designer went for stylish, minimal shapes that look both simple and chic. Drawing inspiration from the Functionalist movement of the 30’s and 40’s, the furnishings look sleek enough to fit a room of any size. 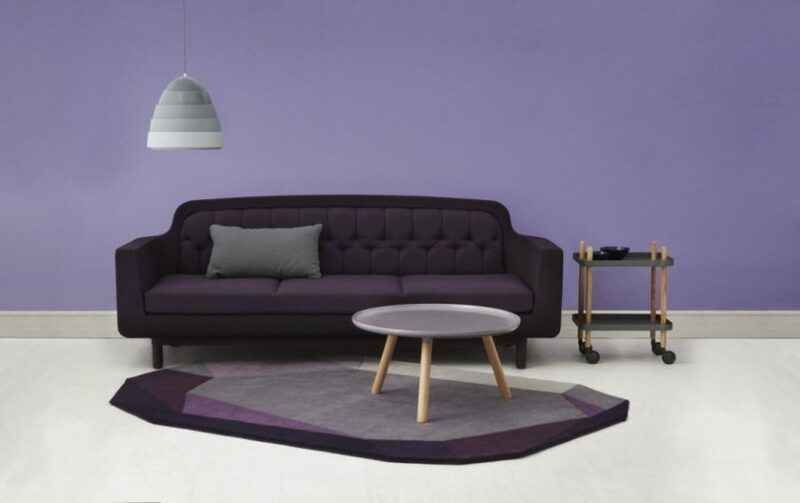 Simone is an elegant sofa inspired by the grand piano of a famous music artist Nina Simone. 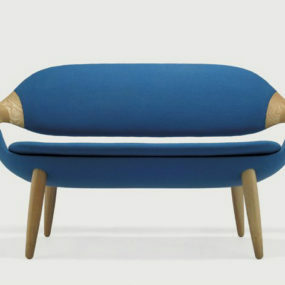 Comprising a quilted wooden-framed back and a one-cushion seat, the piece rests on four wooden legs connected with metal bars. The idea was to emphasize the backrests that is more visible over a simple seat. And it turned out simply gorgeous with a quilt pattern bringing dynamic to the piece. Färg & Blanche bring a different look to the sofa. 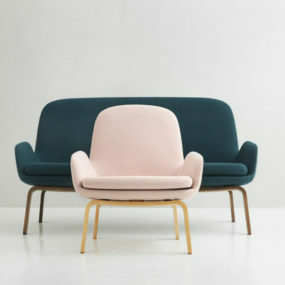 Built with the designer duo’s special Wood Tailoring technique their Julius sofa features three separate backrest ‘petals’ linked together at the seat. With upholstery fixed to the wooden frame, the finished piece looks like it was made with thick stitched leather rather than wood. Anne Boysen’s TOWARD sofa is a curious combination of organic shapes and a mid-century modern minimalist aesthetic. 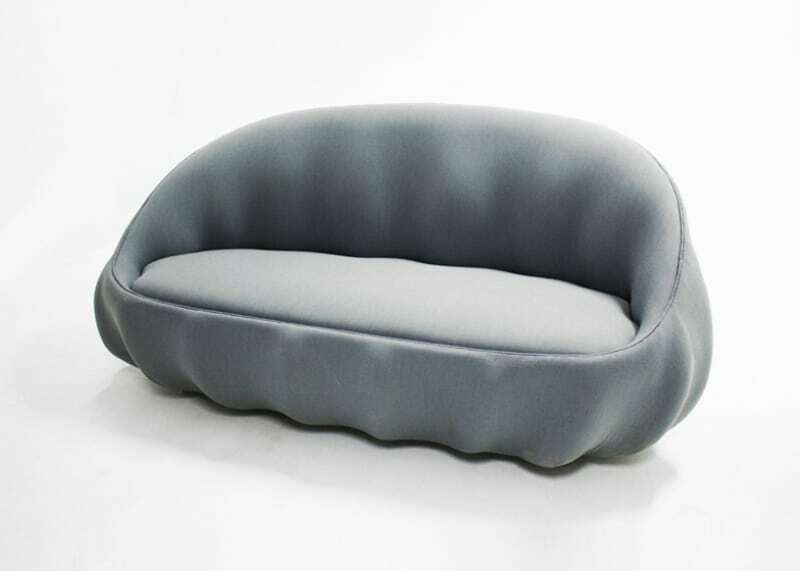 Available in a variety of colors and textures the design looks almost sculptural thanks to its clean-cut rounded cushions. Sometimes there is no chic without drama. 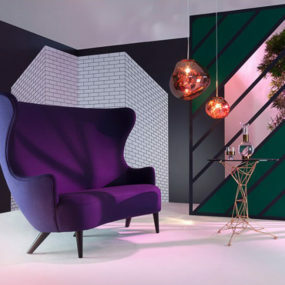 Take a look at Tom Dixon’s Wingback sofa – pure statement piece. Inspired by a gentlemen’s club seat the two-seater was given the contemporary look of clean lines and sleek shapes. 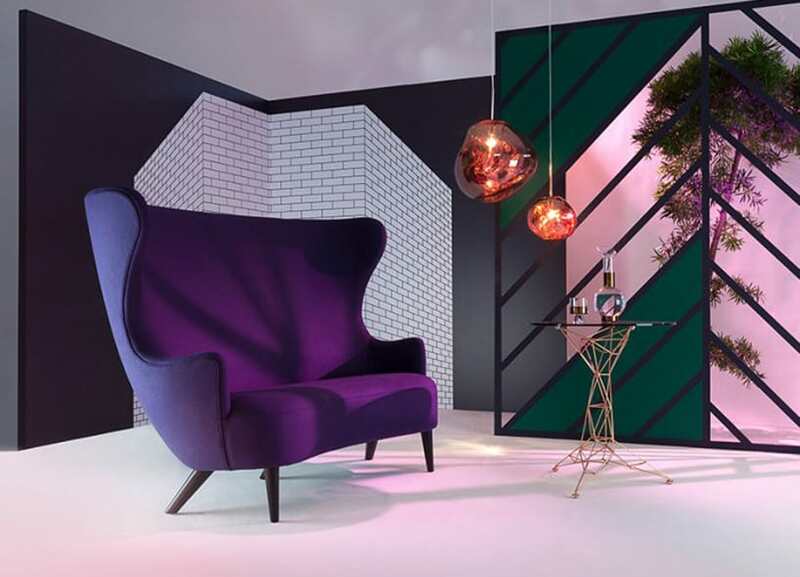 Although created to impress, Wingback is a perfectly functional piece that could fit even smaller homes. Pretty much any Koket sofa will give your living room that coveted chic look. Velvet, elegant, and incredibly luxurious they masterfully blend styles and traditions to ensure they fit almost any interior. Vamp sofa is one of the more modest designs that is also purely contemporary. 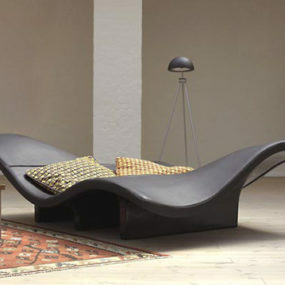 Curved and rounded it’s a sophisticated couch that allows other accents to stand out too. 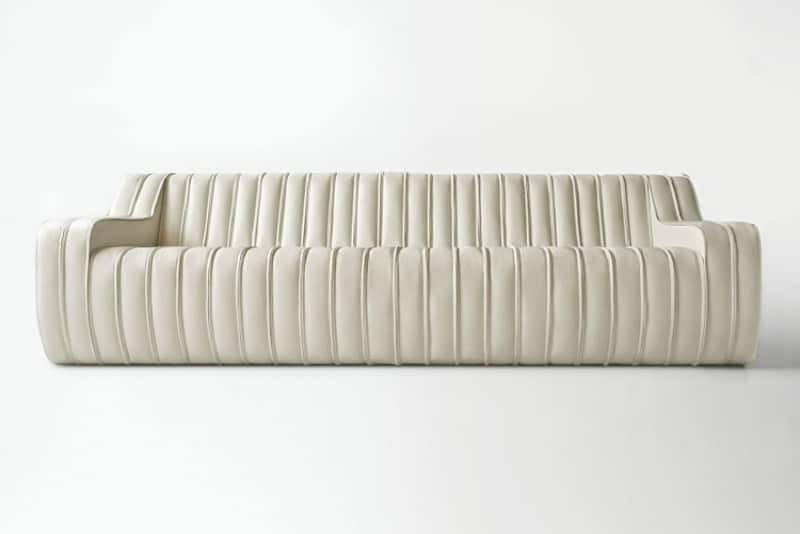 Looking at it, it’s hard to imagine that designer Ron Arad based his Glider sofa design on a discarded mattress. Instead of building a traditional piece with armrests and all the other usual parts, Arad morphed a single piece into a completely different thing. Dyed with a trendy ombre technique the sofa looks ultra contemporary and cool. Aside from bright red and purple Glider there is also a stylish black and white version. Front Design turned their design meeting doodles into an actual design. Talk about productive approach to work. 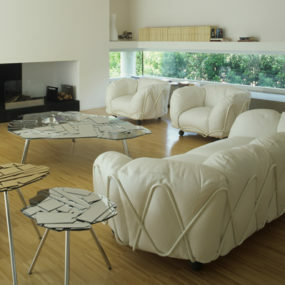 Doodle Sofa is a truly artistic piece made in leather and folded from a single blanket-like piece. The steel framed beauty may seem like a perfect addition to a home office, but it is soft and delicate enough to find its place in a living room. 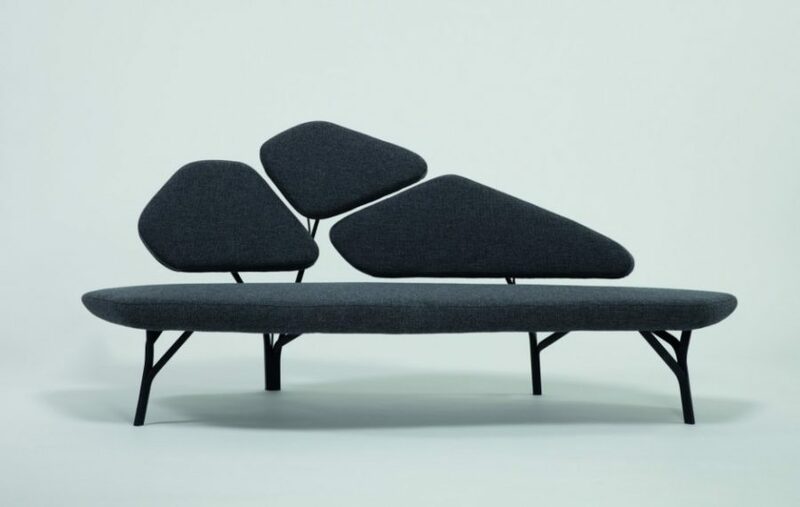 Ligomancer sofa is a strange but intriguing furniture piece. Made of numerous elastic support bands wrapped around a copper-finished stainless steel frame the sofa looks more like an exhibition piece. 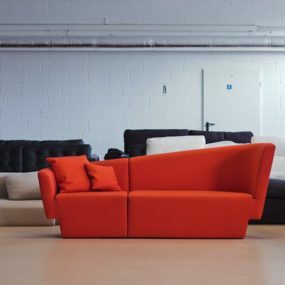 Conceived by CTRLZAK design studio the unusual sofa design concept was taken from imagery described by an English artist and author Alistair Gentry. Marc Sadler decided to keep the traditional sofa shape and the cushions but go with a completely different, creative frame. The resulting Minosse sofa is a modern installation combining functionality. You won’t see these sleek, decorative back and armrests from the front, though. So be sure to use Minosse in an open layout living room. Tip-toeing on its wispy legs, the Sancal‘s modern sofa appears almost levitating. 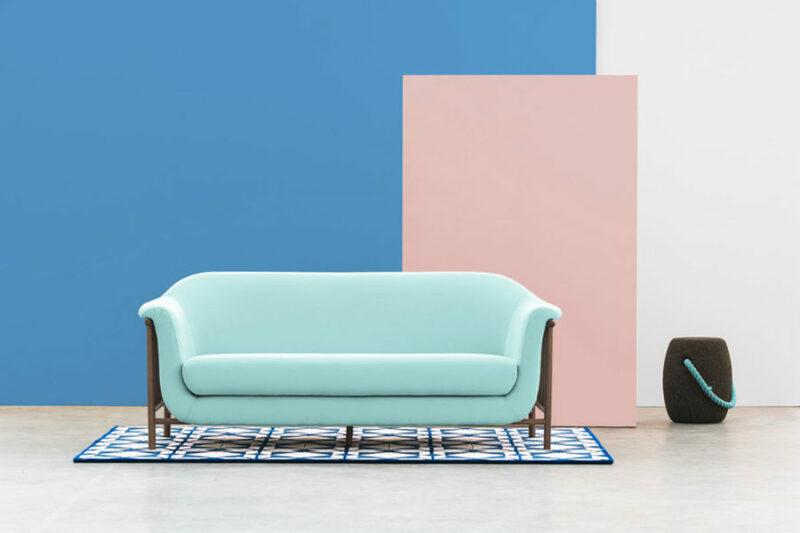 Standing out (quite literally) among the sea of similar contemporary sofas, Tiptoe comes in a rainbow of colors and textures fit for any interior style. Thanks to its minimal look the sofa can also handle lots of unusual throw pillows of every shape and design. 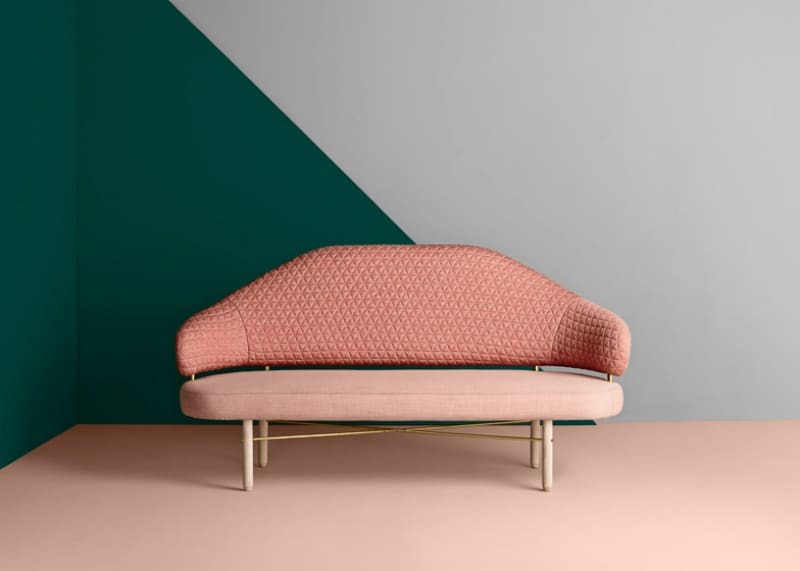 Valentim sofa by DAM is a contemporary tribute to those romantic balustrades where fair maidens listen to serenades and meet their lovers under the moonlight. Upholstered in gorgeous turquoise the sofa’s soft cushions sit in a walnut wood frame cradle that bears a distant resemblance to a balustrade. 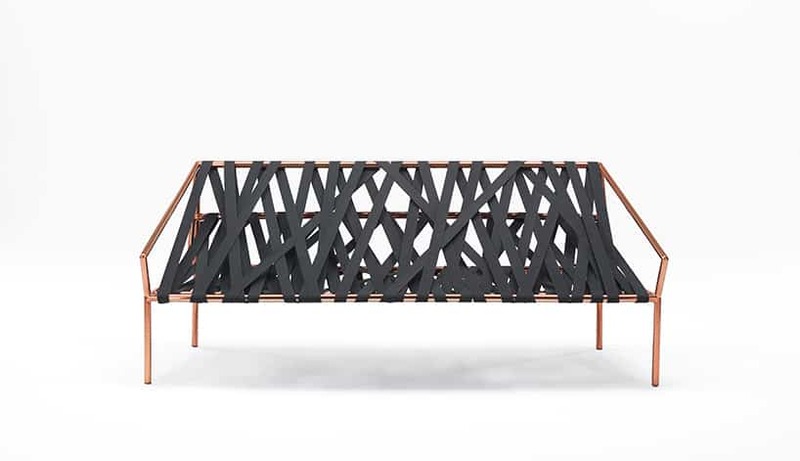 Tomek Rygalik presents a no ordinary sofa that challenges the traditional norms. Its asymmetric backrest isn’t the only thing that catches the eye, however, especially at a second closer glance. For instance, its angular shape looks strict only from the front. From the side it appears to be rather soft and rounded. And its sectioned body isn’t an illusion, but rather a functional element that when separated produces a second seat. Autoban design studio decided on a simple sectional frame for its Deco sofa they created for De La Espada. Each individual frame section is fixed to the two large spacious cushions that hide a seat structure. 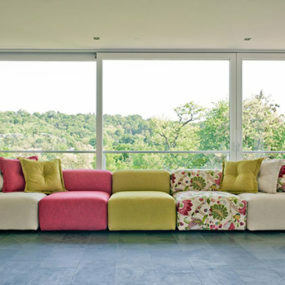 Roll cushions further add to the sofa’s exceptional style rendering it both contemporary and chic. 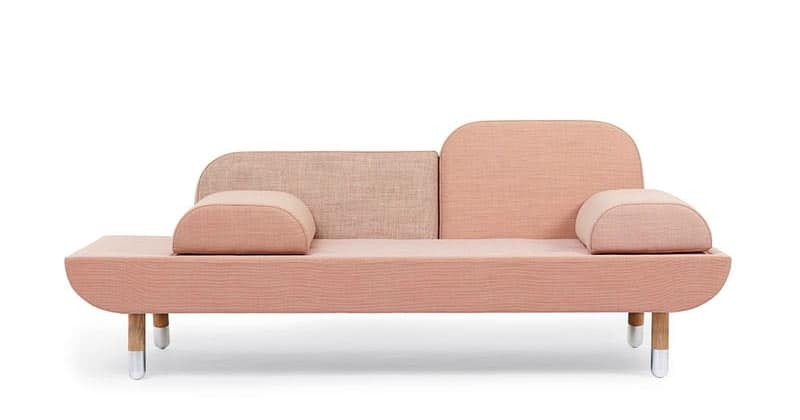 Inspired by swing seats Inga Sempé designed a settee for Ligne Roset that looks both familiar and fresh. Made from natural beech the bench-like frame offers the softness of a bright quilted mattress that in another version of the settee disrupts at the side to provide with a side table surface. 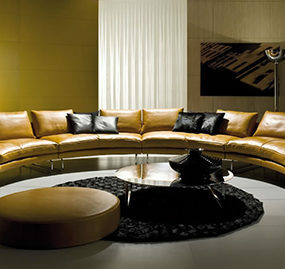 Bohémien not only in the name this Castello Lagravinese sofa is a real treat for the decor lovers. Reimagined tufted furnishing comes with an upholstery skirt not held by anything, seat tufts giving it attractive pleats. Taking best of both worlds (traditional and contemporary), the sofa gets a dramatic and imposing look. Numerous and different contemporary sofas can look nothing like their traditional selves. They also come in familiar shapes with momentary trendy tweaks. But regardless of style they always make a great focal point in a living room.